I, like seemingly everyone else in the U.S. right now, am obsessed with “Jerusalem: A Cookbook .” It’s so popular that the New York Times have devoted an article on it and ran a Recipe Lab for one of its recipes. I’m here to tell you that all the hype is completely warranted. This book is priceless. Everything I’ve made from it so far has been packed with flavor, easy to make (though a little time consuming at times), and somehow tastes both new and familiar at the same time. But what I love about it the most (and is perhaps my top criterion for whether a cookbook is good or not) is that it’s taught me so many helpful hints. For example, that the combination of cinnamon, paprika, and cumin is dynamite. Or that I shouldn’t be afraid to add a lot, make that a ton of fresh herbs like parsley and cilantro to my dishes. And it has taught me that yogurt can very easily be turned into a luscious, sweet cream that would satisfy even the most dedicated fan of whipped cream. Once again, what I am giving you is barely a recipe. But I am certain that when you combine these three simple ingredients in a bowl, stir them with a spoon, and watch the yogurt transform into something that resembles whipped cream with stiff peaks and tastes like sunshine, you will agree that its simplicity belies its magnificence. First, make the fruit salad. Combine the fruit and sugar in a medium bowl, stir and let sit at room temperature for about 15 minutes, stirring a few times. In a small bowl, combine the yogurt, powdered sugar, and orange flower water. 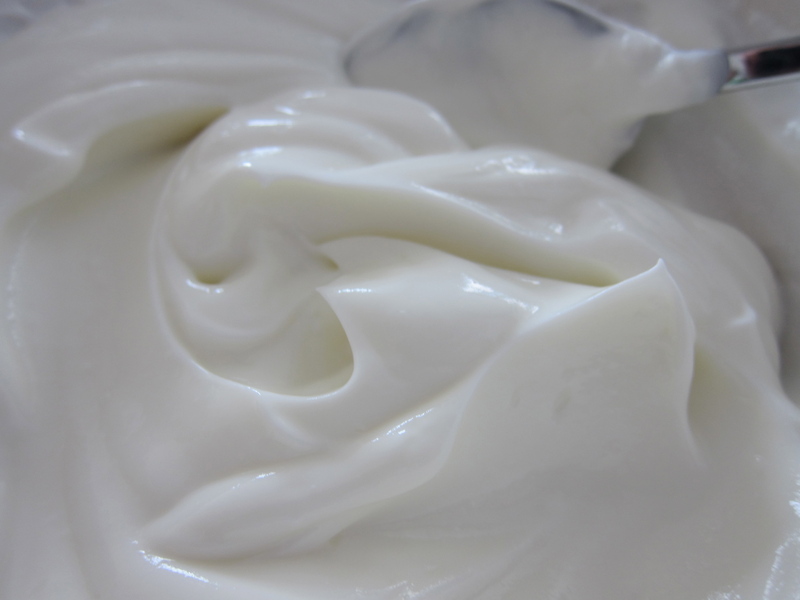 Mix vigorously with a spoon until sugar has dissolved and yogurt has the consistency of whipped cream. Divide the fruit salad between two serving bowls. 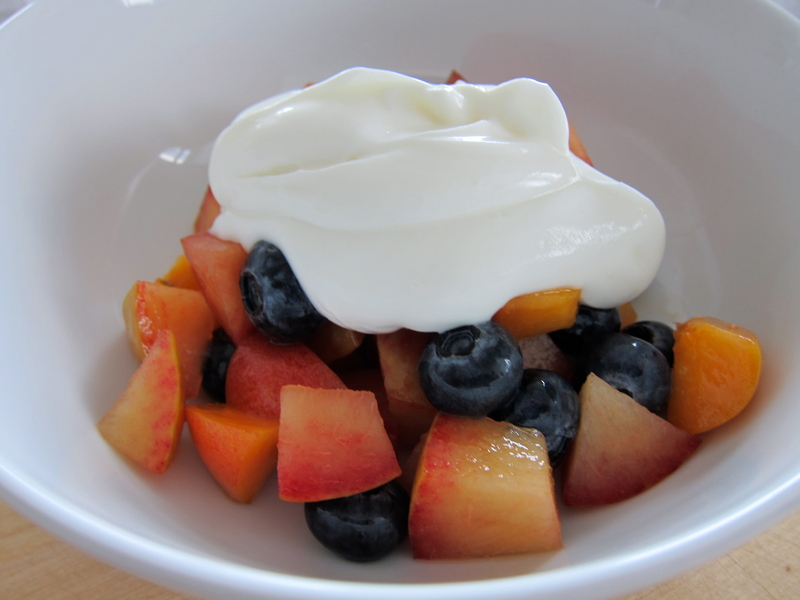 Dollop the yogurt cream on top of the fruit salad and serve. If you want a little crunch, you can sprinkle the chopped pistachios over the cream.